For a band with a legacy as good as Saga's, this is merely scratching the surface. 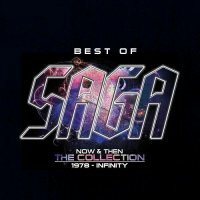 For those that still haven't discovered four decades of Saga music, there are literally dozens of compilations on the market, although this one is a little bit different in that it contains just one track from each of their twenty-one studio albums thus far. A double album that thankfully doesn't shy away from some of their lengthier tracks, the fact that it has to gel together means that not all the tracks are the highlight of their particular album. The Canadian icons have carved out a niche for themselves with epic Pomp tracks and catchy Prog/Pop, but two discs of those might be a little too much, so inclusions like the Jim Gilmour ballad 'Scratching The Surface', the acoustic title-track from 'The Security Of Illusion' and 'Marathon's 'Breathing Lessons' are there as a respite from Ian Crichton's incendiary riffs, Steve Negus' thundering percussion and Gilmour's and singer Michael Sadler's inventive synths. There are very few substandard albums in the Saga catalogue, so 'The Perfectionist' from 1978's debut album, the following year's 'You're Not Alone', the epic 'Don't Be Late' and evergreen 'On The Loose' are just some of the songs that still feature in the live set today. After the catchy 'Take A Chance', the Poppy AOR of 'Wildest Dreams' and the brilliant 'Giant', the first disc only goes slightly wrong on one song, the simplistic Peter Gabriel-esque 'Steamroller' from the TV pilot soundtrack 'Steel Umbrellas'. The second disc starts with excerpts from two of their more controversial records, the instrumental title-track from the deep 'Generation 13' and the most traditional song from the much-maligned and dark 'Pleasure & The Pain' album; 'Heaven Can Wait'. From 1999 onwards Saga seemed to get their second wind, with a stream of consistently good albums that spawned the likes of the powerful 'The One', the tuneful 'Always There' and the wonderful 'On The Air'. The title track from 'Trust' is deceptively simple and 'Book Of Lies' and 'Anywhere You Wanna Go' have all the distinctive stellar musicianship and Sadler's resonant voice to almost match the material from their first six classics. Oddly even the Rob Moratti-fronted 'Step Inside' sounds like classic Saga in this context, the band bringing things up to date with the cleverly arranged 'I'll Be' from last year's 'Sagacity' opus. 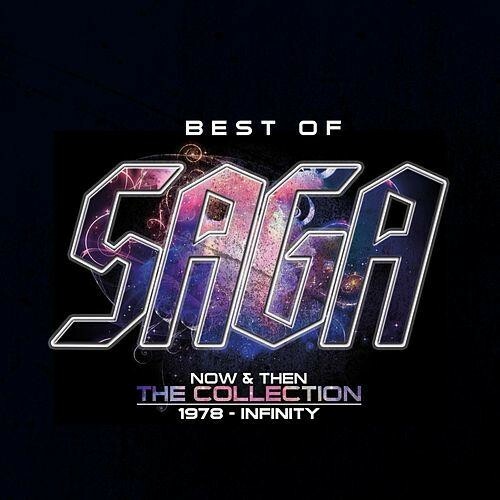 As compilations go this is a particularly good one and would work as a taster to the band, but for a band with a legacy as good as Saga's, this is merely scratching the surface.